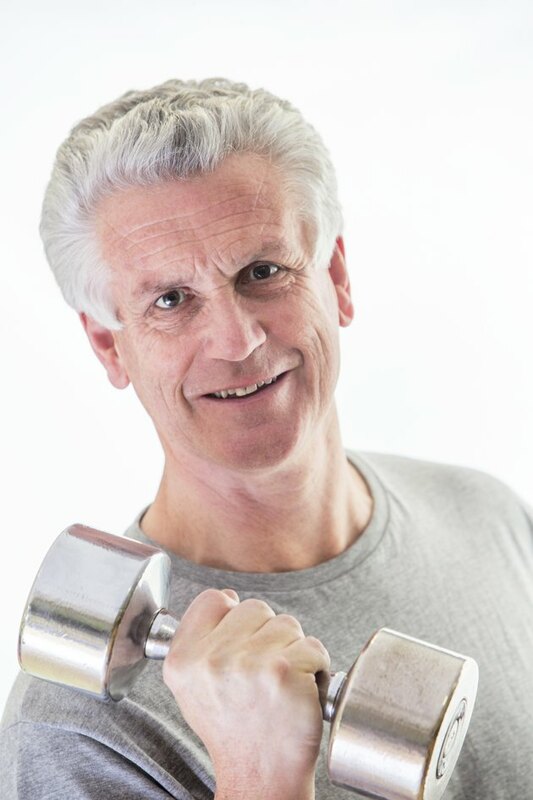 Men over age 50 have special nutritional concerns to attend to when dieting. At this age, you have a lower metabolism and a greater risk of cardiovascular disease, gout and prostate cancer than your younger counterparts, according to Eat Right Ontario. This means that whether you're trying to lose weight, gain weight, or just stay healthy, you need to consume lower quantities of calories and cholesterol than someone of a less advanced age. Since your metabolism has slowed substantially by the time you reach age 50, you will likely have a harder time losing weight than you did when you were younger. Because of this, you'll have to restrict your caloric significantly to lose weight at an acceptable rate. Take an inventory of the foods and drinks that you consume over a period of a week and use the applicable nutritional information to determine your average daily caloric intake. If your current intake is under 3,000 calories, aim to reduce it by at least 500, recommends the Centers for Disease Control and Prevention. If it's more than 3,000 calories, aim to reduce it by up to 1,000. To accomplish this, begin by eliminating junk foods from your diet. Not only will this reduce your weight by one to two pounds per week, it may also prevent you from ingesting bad fats that could lead to cardiovascular problems. If this doesn't satisfy your targeted caloric deficit, reduce your mealtime portion sizes as needed. Since your testosterone levels aren't what they used to be, you wont need to consume the same amount of calories and protein as your younger counterparts to gain muscle at an optimal rate. Design a diet of approximately 2,500 to 3,000 calories, splitting your food across five daily meals. While this isn't much higher than the daily recommended values for an adult, it will suffice for muscle growth given your relatively slow metabolism. When constructing your meals, build around protein-rich foods such as eggs, meat, fish, beans and tofu. However, try to avoid red meat since it is high in cholesterol and particularly harmful to someone of your age. Further, don't overdo it with protein; one gram per kilogram of body weight is a sufficient daily intake. After age 50, it becomes particularly important to maintain a healthy diet in order to retain your health and increase your lifespan. Whether you're adjusting your current diet or building from scratch, consult the U.S. Department of Agriculture guidelines on food groups and portion sizes. Depending on your age, gender, height and weight, you'll require different quantities of fruits, vegetables and whole grains, and have different recommended limits on your consumption of red meats, sugars and fats.